Say what? These were brought to us from Sweden from one of our cacklers who paid a short visit to the Nordic land. They were carried in his checked baggage and although we didn't really know what they were it sure sounded like what was left was a bunch of Pepparkakor bits and pieces. From the tin we assumed they would be the Swedish version of the ubiquitous Danish Butter cookies but that proved not to be the case. 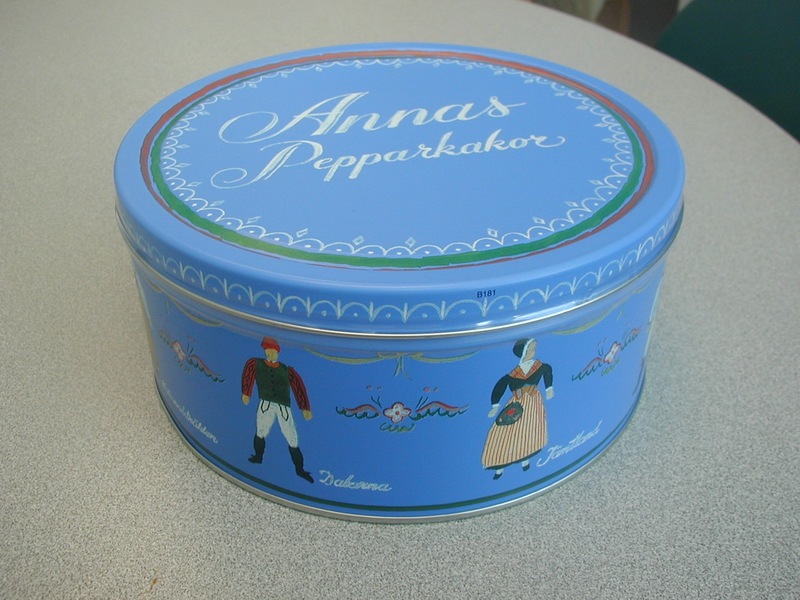 The tin was also instrumental in this being the treat to bring home by the specialist in gastric glands because on the tin is included a picture of a Swede from Gastricland. (Okay it's really spelled Gästrikland but you get the picture). 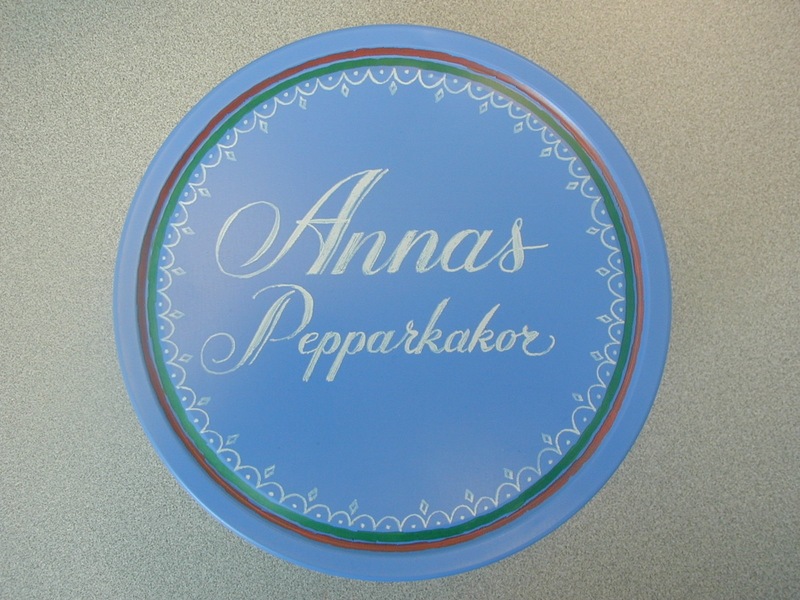 Imagine our surprise then when we opened the tin and the Pepparkakor was not smashed into crumbs. The star-shaped thin cookies were mostly intact. 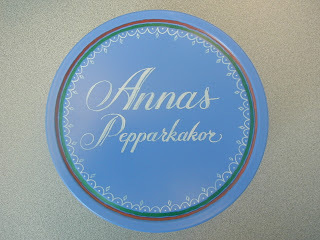 We don't know if the Peppar part of the name indicated pepper as an ingredient but these were most certainly a Swedish version of the ginger snap. They were a hit and certainly were not filling. We learned A LOT about Sweden during this session. The cackler who had just been there found it interesting and worth a look. However another expert had the goods on the Swedes. Who would have imagined that on Saturday afternoon when everything shuts down the entire country goes inside their respective homes, closes the curtains and starts drinking. Is this why there are so many different flavors of Absolut? We are a bit suspicious but that's how the person remembered it. We imagine there is some hyperbole in the recollection. Or at least we hope so! Another classic! 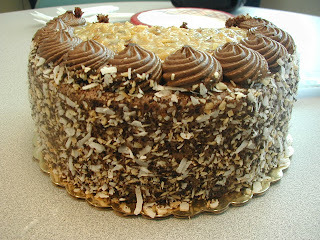 This is a chocolate cake with chocolate frosting on the sides and a topping of roasted pecans and caramelized coconut. This is seen throughout the US and is almost a standard. The only thing we can't figure out is how it ties in with Germany which is about the only place that this cake is not seen. 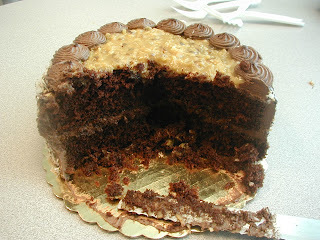 Is it a German "Chocolate Cake" or a "German Chocolate" Cake? How does the coconut figure in as Germany is not known as a place for growing coconuts? Well as it turns out the cake is an American concoction. The name comes from the fact that the original chocolate used was from Baker's Chocolate Company which was founded by Samuel German hence the original name German's Chocolate Cake. Who knew? Whether this is true or not could be up for discussion as German lived in the mid-1800s and the first recipe appeared almost 100 years later. Eh, who cares! Regardless this is a good cake recipe and we always like it when one shows up. This one was very fresh probably having been made the same day at the East Side Marketplace. This one was also a bit more decorative than some of the home made versions which have the coconut frosting kind of slathered on with little to no flourish. We also saw that when the frosting turned out to be too much, that which is left on the plate can serve as medium for an artist. Out of a pile of cake topping emerged and ice cream cone! We have every reason to believe this is the first instance of German Chocolate Cake Art. 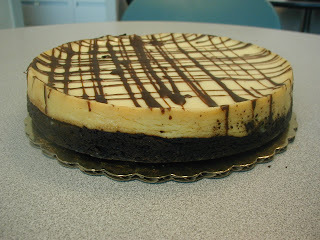 If this looks familiar it's because we already encountered this choco-cheesecake last month. Our friend Hiro is clearly a cheesecake afficionado and we can count on him delivering on this towards the end of each month. This is like a vanilla cheesecake molded on top of a dense chocolate one. The two complement each other well and go great with a cup of java. The one annoying thing is that the bakers put a cardboard base on the cake which likes to adhere to the bottom of the cake and makes it difficult to cut. In fact, at first you think that it is part of the cake but soon realize you're trying to slice cardboard. You can see the gashes in the cardboard bottom in the pictures. Once you know what is happening the slicing becomes much easier. Instead of cardboard we suggest they try something edible. We spent some time discussing the upcoming Brown Commencement. One of our cake hour attendees was going to be marching with one of the honorary degree recipients - well actually the recipient's representative as the degree was given in absentia. The honorees ran the gamut from politicians to actors to writers to activists and made for an interesting group. Congratulations to them!! Now this was a good thing! 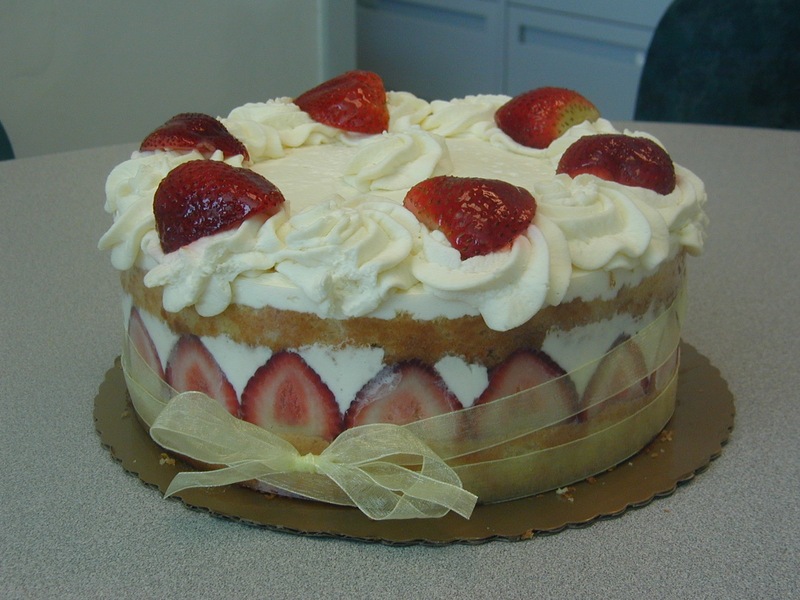 Despite the shortcake in the name this is really a cake using the ingredients of strawberry shortcake assembled together in a very attractive way. The key thing about this is that the "frosting" is real whipped cream. Why anyone decided there had to be fake whipped cream is beyond us. One of the products even calls itself "Better Cream" but you can't make better something that is just perfect the way it is. We LO-O-O-VE whipped cream and try to have some on hand. This cake was a product of Whole Foods and they do a great job. It was certainly attractive with plenty of strawberries. The middle layer of the cake with the cut strawberries facing out was particularly attractive. The cake is a yellow cake not so much a shortcake but that's even better. We've had several incarnations of this cake and are rarely disappointed...unless of course they skimp on the whipped cream! Now doesn't this look familiar! 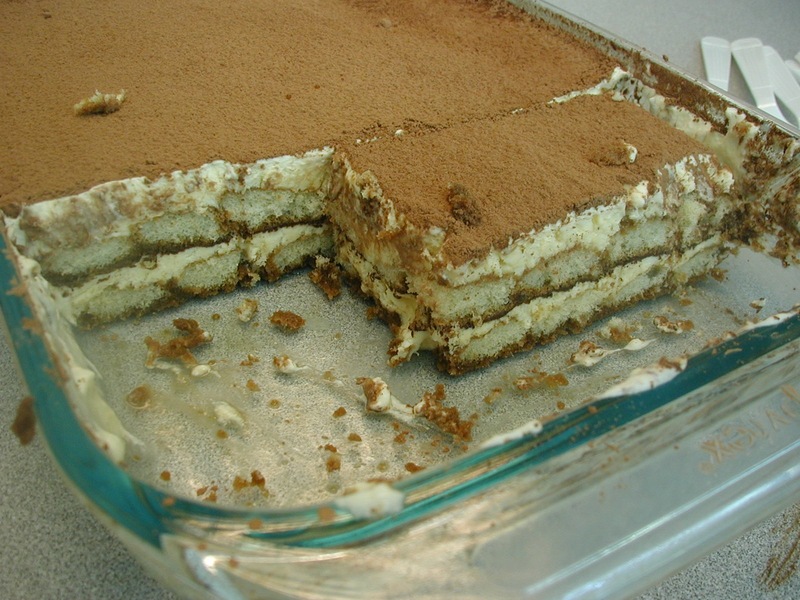 No, contrary to what the title indicates there is no recipe for Tiramisu. 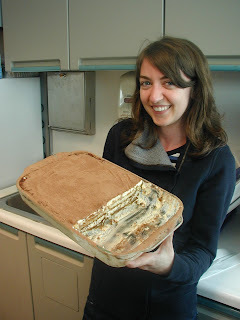 What happened here is that our graduate student from Italy gave her recipe for Tiramisu to the graduate student from Mongolia who wanted to try it out. We were happy to be the guinea pigs. We extra appreciate the fact that after making it she forgot to bring it in and ran home in time to get it for cake hour. Obviously she didn't want to disappoint the hungry masses. For a first shot it was very well done. Kudos to anyone who can get that powdered cocoa layer to be so smooth. We are less likely to breathe it in that way. 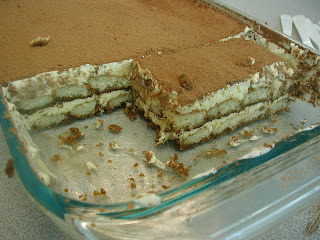 There were some subtle differences to the Italian version - there seemed to be a bigger emphasis on the lady fingers and less on the mascarpone - but otherwise the Mongolian product was first rate. We hope to share the recipe soon with everyone! This was, we fear, the last cake hour donations from our Mongolian friend. Sooner or later these graduate students have to get on with their lives and this one did indeed finish her Ph.D. and will be moving on! Oonoo...I mean, oh, no! Our trip to Hawaii started out with a small glitch from which we concluded that we will never fly Delta again and that Delta staff are very unhelpful. Due to numerous delays, which were never explained to us, we missed our initial flight to Hawaii. After some negotiations, we were able to get a flight to LA and were put up in a hotel for the night. 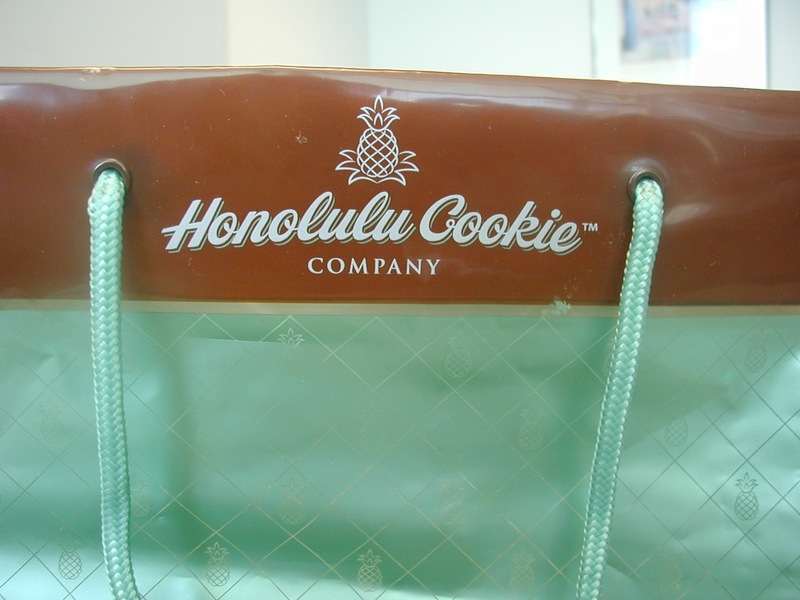 Luckily there was an early flight the next day which we took to Honolulu -- unfortunately, our bag did not follow us to LA and therefore was not there when we arrived in Honolulu. But everything worked out, bag found and all, and the two of us began our Hawaiian adventure. We spent the next couple of days hiking Diamond Head, snorkeling at Hanauma Bay, hitting up the Polynesian Cultural Center, traveling around Oahu, and trying out various foods. Consensus thus far: food is delicious, Hawaiians are extremely friendly, the weather was a little warm but a nice change from Providence, and that May is the best time to travel to Hawaii since there are fewer tourists. We also flew over to the Big Island where we spent a few days in Hilo and a day in Kona. The first two days we explored Hilo, saw a few waterfalls, went to the Lava Tree State Park, drove in search of lava, and checked out one of the black sand beaches. It took us a while to find the lava -- with advice from the locals, we decided to bypass Volcano National Park and head over to Kalapana, an old town which was overrun by lava decades ago, to get a closer view of the lava. The night before, a few Swiss travelers had shown us pictures of them within a few feet of spewing molten lava and we decided we wanted to see it too. So we followed their instructions and drove past barricades and made it to the site where the lava had spilled over the road. We thought about walking onto the cooled lava to search for molten lava, but were advised against it by other tourists because the heat would probably melt the rubber off our tennis shoes (the tourist were sporting extreme hiking gear/boots). Indeed, as we walked closer to the cooled lava, it got unbearably hot and we had to turn back. En route to Kona, we hit up Waipio lookout, the town of Waimea, and Hapuna Beach. On our last day, we visited Greenwell Farms and snorkeled at several bays before returning to Kona to fly back to Oahu. At Greenwell farms, we saw chameleons and learned how Kona coffee was made. Did you know that coffee comes in the form of cherries or that expresso contains the least about of caffeine and light roast contains the most? We didn't but we learned so much about coffee that we gained a great appreciation. Snorkeling again was a fun experience however much more dangerous than our first time. The currents at these bays were a lot stronger and there were more rocks, corals, and a ton of sea urchins. On more than one occasion, we found ourselves being thrust against the rocks.The last few days in Oahu were spent walking around Waikiki, sun-bathing, and eating frozen yogurt. We also decided to try bodyboarding which we felt was the most exhilarating activity we had done so far, just in time to go home. The sport, similar to surfing, requires you to lie on a smaller board. With the same concept as surfing, you paddle out and wait for a good wave to make its way over. About 10 feet before the wave catches up with you, you start kicking in the direction of the shore - in our case, since we aren't strong swimmers, we had to start kicking about 30 feet before. The wave picks you up and literally it is like flying over water. With the help of a local native, we managed to not drown ourselves or swallow too much salt water. There was a lot of "pearl-ing" - aka flipping over involved - or getting stuck in a rock barricade by relentless waves. It was a physically-demanding activity - we were sore for the next few days. On our second to last day, we headed over to Pali's lookout where we got a gorgeous view of the entire island. However, it was extremely windy. Much to our surprise, a local told us that it was actually a less windy day and that on some days, people have to hang on to the guardrails to pull themselves up to the lookout and that parents should hold their children's hands. As for the Hawaiian treats, they were bought at the Honolulu Cookie Company in Waikiki. We sampled all the flavors in the store and concluded that these were the yummiest. All the cookies there were in the shape of miniture pineapples. The flavors were lilikoi (passion fruit), coconut chocolate chip, and kona coffee chocolate chip. 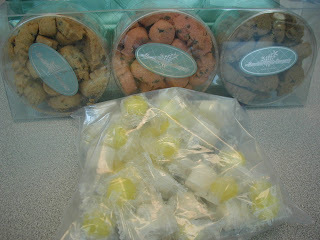 The candies came from the Dole Plantation - we have pineapple hard candies and chewy lychee candies. A chocolate strawberry something or other.. Cream pies are always a good thing. We were please to see one turn up today as we hadn't had one in quite a while. 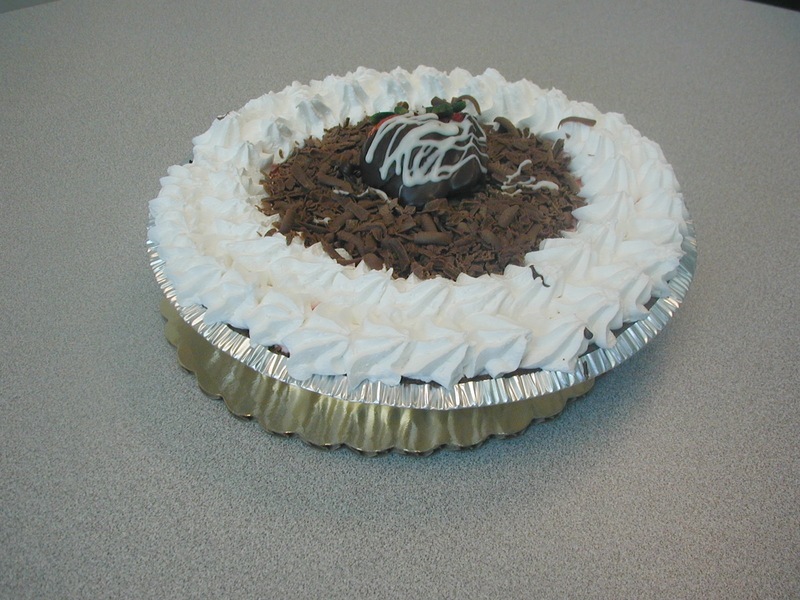 This one looked like a classic chocolate cream pie albeit a commercial one. Typical whipped cream like topping - it wasn't the real thing - with some shaved chocolate and a strawberry garnish. When we cut into it imaging our surprise to see the filling was actually a strawberry flavored mousse. After the initial surprise, though, we just dug right in. As with most cream pies this was very light and the chocolate and strawberry went well together. 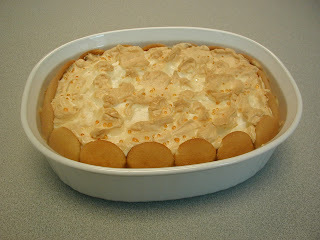 The filling was not as heavy as custard based cream pies which was a plus but in truth we like them all. Today's featured cake, the Red Velvet Cake, was bought at the historic Italian bakery in Providence, LaSalle's Bakery on Smith Street. The cake is a classic. 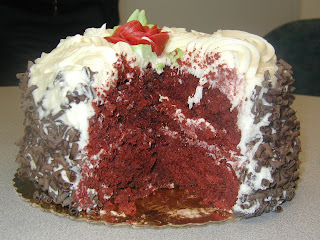 It is a Devil's Food cake only it has a bright red color and is usually topped with a creamy white icing. Of course the only way to get that bright red color is with lots of Red Dye number something. Nonetheless the cake was very good and this was the first time we had it at cake hour. The cake has an interesting history dating back to sometime in the 1940s. Supposedly Manhattan's elegant Waldorf-Astoria hotel granted a diner's request for the recipe which they followed up shortly thereafter with a bill in the amount of $100! This angered the woman and apparently with revenge in mind she began circulating the recipe along with the story of what the hotel did. This sounds very familiar to a story regarding a chocolate chip cookie recipe from.....Neiman Marcus! Cheescake seems to be popular and it's interesting to see the various permutations thereof. Today we had one the looked really good. 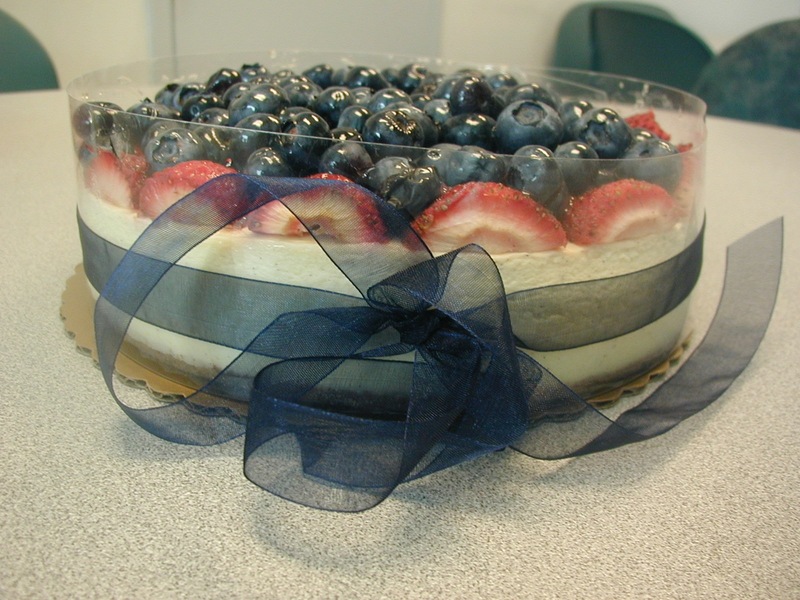 A nice standard New York Style cheesecake that was topped with strawberries and a pile of blueberries and then finished off with a ribbon. It looked LOVELY! It tasted pretty darn good to and of course having a health fresh fruit topping made it that much better. 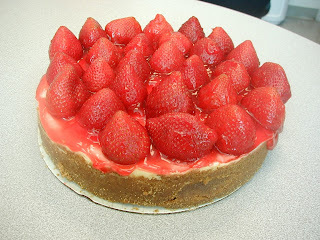 Even if you are not a big cheesecake fan you got to admit this looks good! Our Panamanian adventurer made it into the jungle for a step back into la vie primitife! How do we know? She called on her cell phone to say she was in the jungle. La vie may be primitife but you can get a cell phone signal. And wireless internet! The only issue with having the phone or a laptop turned out to be the lack of electricity to charge them. It looks like certain societal advancements are more emphasized than others. 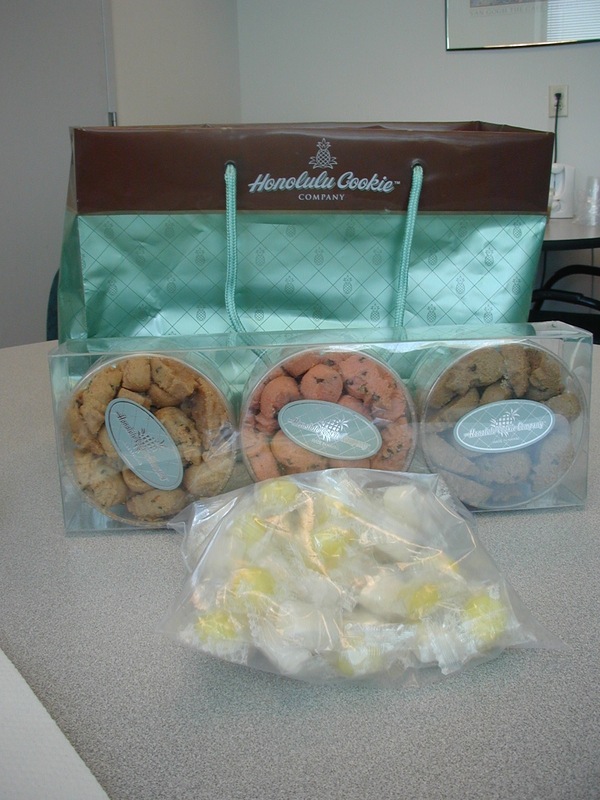 So we start the week again without a volunteer to satiate our sweet teeth. Back to the machines, however this time, the selection wasn't just candy. We had the option of pound cake or apple turnovers. 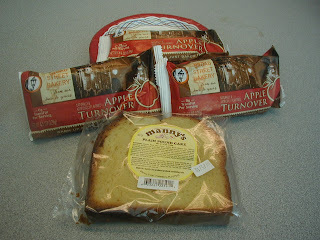 The apple turnover package suggested we microwave them for a fresh baked taste which we did. The apple filling got pretty hot and the dough a little softer. 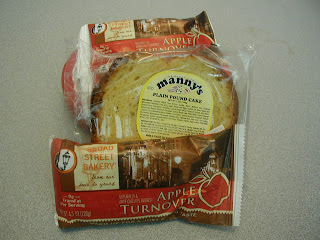 Considering it was a raw commercial product they were ok but they were not flaky as one would expect from a turnover. The pound cake - Manny's Plain Pound Cake - on the other hand was actually pretty good. It was very moist, went well with coffee, and the piece was pretty large for only $1.00. It fed about four of us. Considering the M&Ms and other candies were $1.50 this was definitely a bargain. Fortunately for the rest of the week the calendar is pretty full. One of our colleagues was off to Panama. We can't wait to hear about the food down there as we inevitably will! Although the cake itself is yellow, the frosting was amazingly white. It was like someone took a tooth whitener to the cake. Today's cake giver, our own Princess of Ghana, is becoming known for bringing interesting ones. This was a good commercial cake, though we weren't initially sure of what the filling was but ultimately decided it was pineapple. 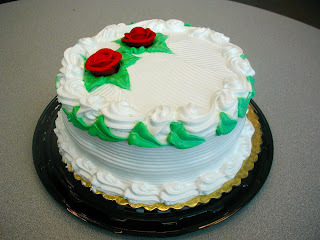 The cake was fresh and the frosting very light like whipped cream but it was more likely a vegetable shortening base. 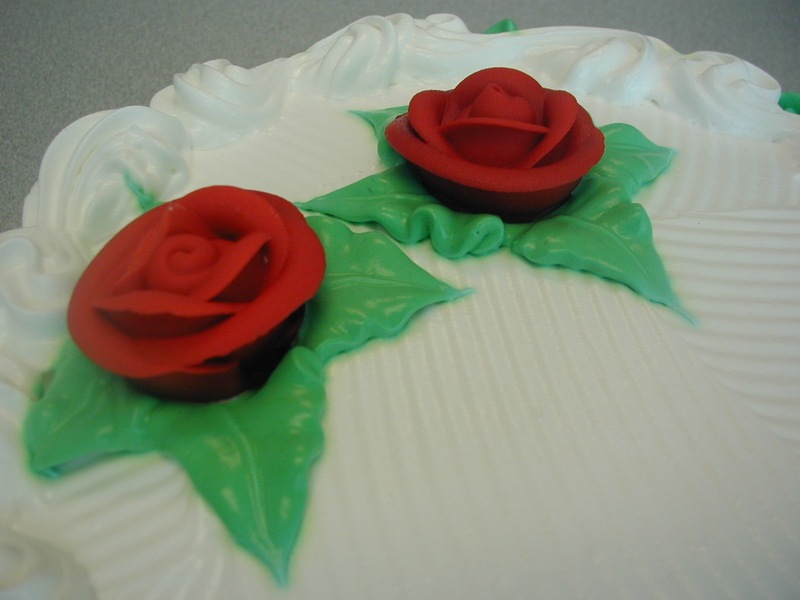 This frosting proved to be useful to a few of the cake eaters who found it fund to smoosh around. Notice also the lovely rose decoration! When a few Cakehour attendees discovered that the pantry was still empty at 4:06pm, our hearts leaped with a gleam of hope. 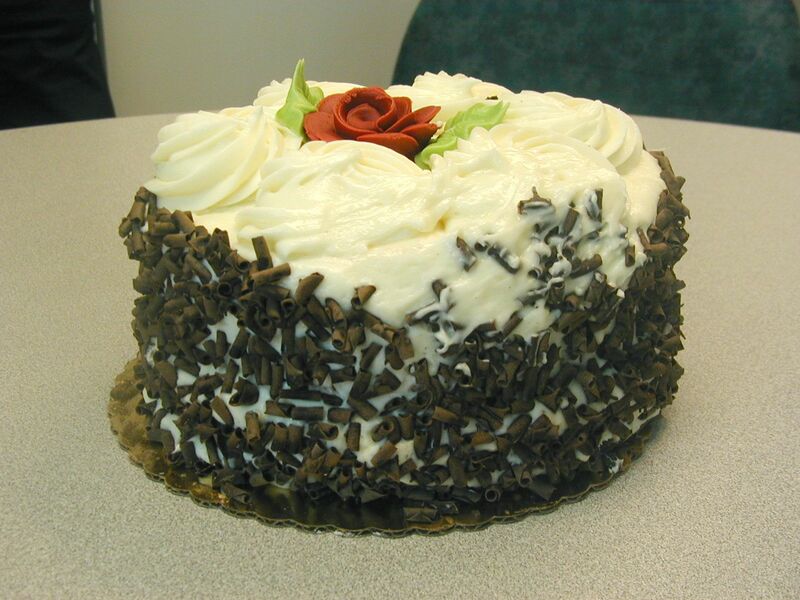 Yes, a missing cake is often a cause for great disappointments and despair; but in this case, seeing our boss's name on the sign-up sheet, our hearts told us that the freshest and the tastiest cake had just been taken out of the oven and the skilled baker was busy adding the final touch to the cake. Now doesn't that look good! We were informed that this was a recipe from a cookbook called "Cooking Light". 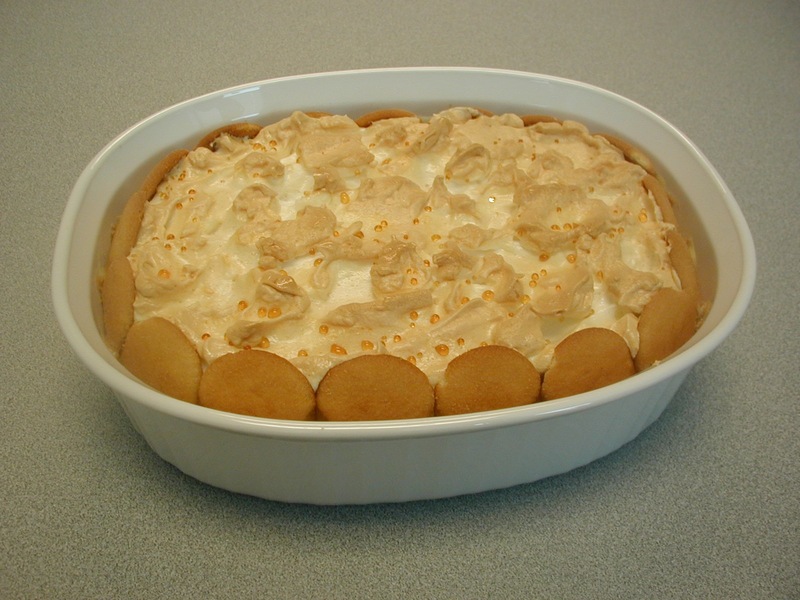 The meringue notwithstanding a dish with two inches of sliced bananas, vanilla pudding and wafers is going to be anything but light! Maybe it was light calorie wise which is a good thing. 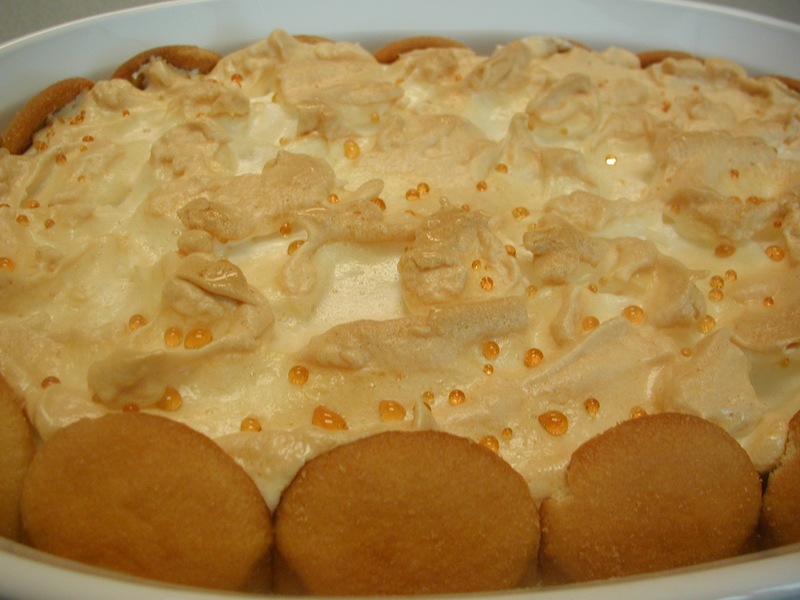 But it was what one would expect of a pudding based dish. It looked great and tasted very fresh with loads of bananas. The meringue on top was done to perfection and we were very impressed with the little refractile elements on the top. We thought it was a nice decorative touch only to find out they were an artifact of condensation during storage. Oh, well! They still looked good. Once again thanks to the proximity of Gourmet Heaven we did not have to go hungry for another cake time. 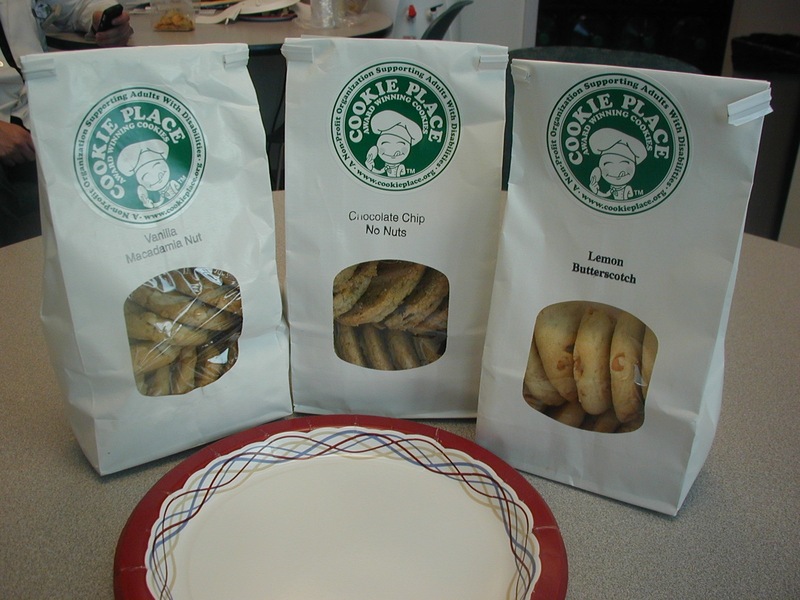 We found cookies from a non-profit called cookieplace.org - an organization providing job training and employment opportunities for those with disabilities. Not only did we get some treats but were altruistic in the process. They also have a cafe! We tried three different kinds and they were very good. However these definitely were of the more floury or cakey kind of cookie unlike Tate's. 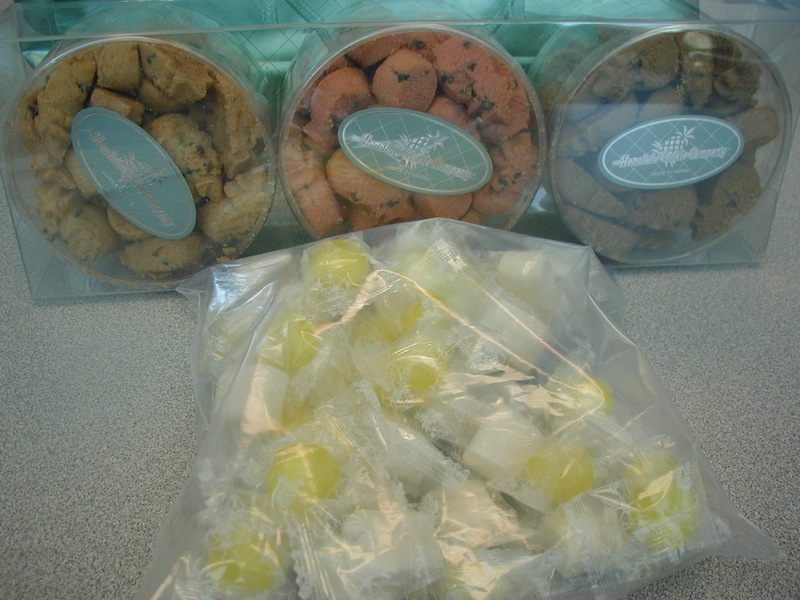 The lemon butterscotch was interesting but the ones with the macadamia nuts were best. Note the ingredients. No artificial anything! Slumming it on a blue Monday! Well it does happen. No volunteers and nothing in anyone's stash. 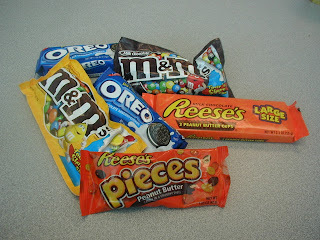 So we trek on down to the candy machine on the first floor and buy up whatever is available and seems appropriate. 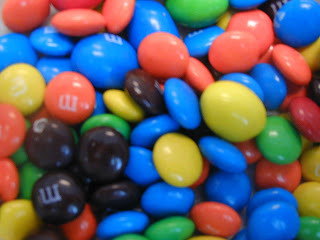 Nothing wrong with Oreo cookies and M&M's but it's a last resort. Got to start cracking the whip to get the slots for May filled up, eh what. Mother's Day was the favored subject of conversation. After polling the group as to what everyone did we awarded the best Mother's Day Present award to the Princess of Ghana who made her mother a pair of earrings and hand wrote a letter to mom. The rest of us pretty much stuck to script - flowers, phone calls, dinner on Dad's tab. Our Mongolian associate did nothing for her mom because - surprise - Mongolia celebrate Mother's Day in June. Now who could have known that? We also like the job that Betty White did on Saturday Night Live. Mrs. Blarfargaard and the census taker was a particular favorite. And maybe someday at cake time we'll have a big Dusty muffin! So what do you do on a Friday when there is no cake? You raid someone's chocolate stash! 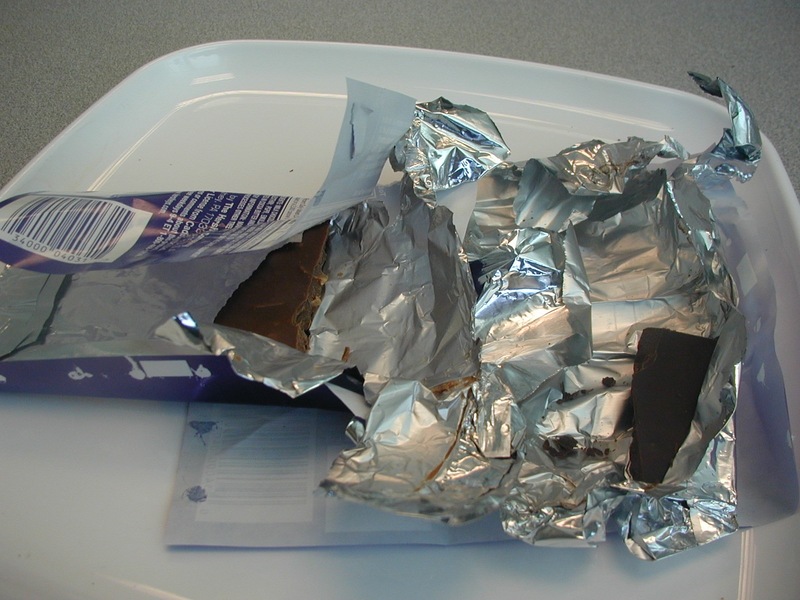 And how appropriate that it be Cadbury what with the British Election the day before. Our selection was a little more modest than what one sees in Heathrow Airport Shops where there is more Cadbury than you think humankind could handle. The dark chocolate bar was very good and we recommend it. Of course nothing compares with Cadbury mini-eggs but we await the Easter Bunny next year before we see those again. They do make them at Christmas but its' not the same. Of course we discussed the British Election. Hung Parliament, proportional voting. blah, blah, blah! The final consensus is that they will be voting again sooner rather than later! We're definitely spoiled. We have the good fortune to have a colleague who makes a mean Tira Misu. And she's authentic Italian. This is none of the unnecessarily modified versions that one finds in many restaurants which should not be serving Tira Misu anyway. Nope, this is prepared like you are at home cooking for company and this company always appreciates it when one of them turns up. 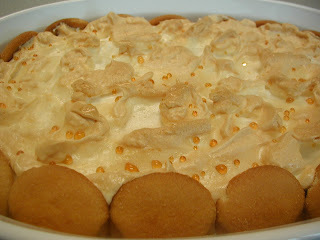 The glass dish allows a view of the layers of Mascarpone chees and lady fingers. This is never too sweet and not at all heavy. 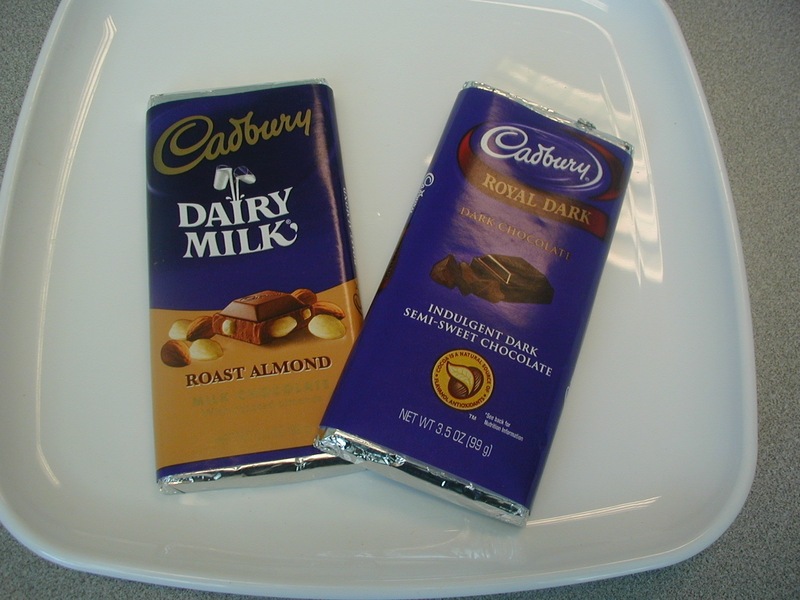 The powdered cacao on the top can be a problem if you happen to breathe it in but you get used to it. For those of us who are fans, this tira misu sets a very high bar. Or so we called it. Unexpectedly the renegade third contestant in the Ultimate Flanning Championship decided to walk the walk and cough up a flan. 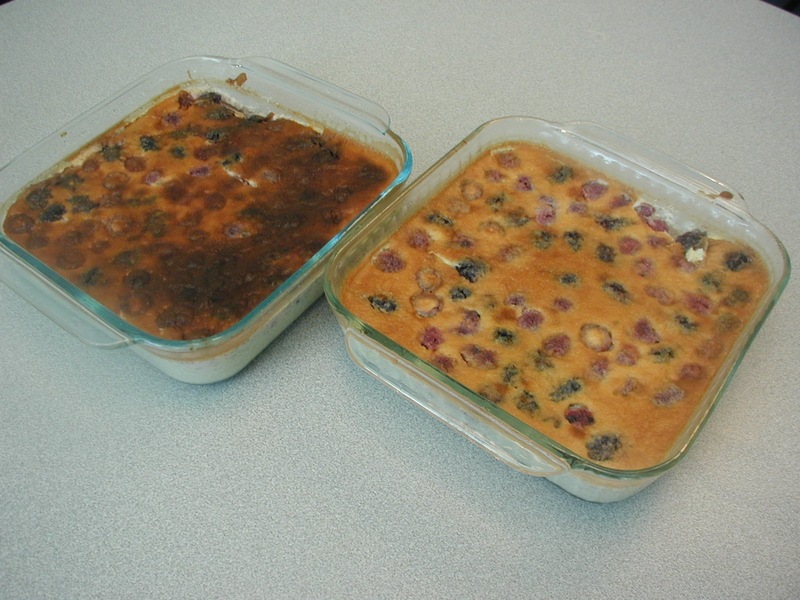 This is ostensibly the authentic Cuban flan recipe that was to overwhelm the competition had it been made for the contest. Better late than never, I suppose. As you can see the flan was served medium or well done on the top. These did not have to be inverted as there was no caramelized sugar syrup on the bottom. 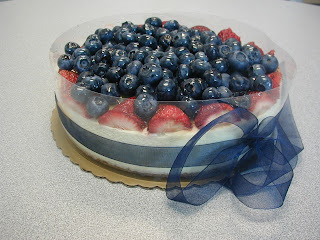 It was supplemented with fresh berries on top although pomegranate had been expected. (They are out of season.) The flan was good, not to sweet and made from all fresh ingredients. 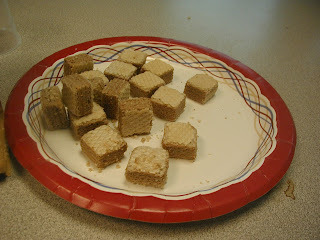 The texture was a little less smooth than expected but that did not stop anyone from enjoying it. It did invite comparisons to the competition. Cake time has been a little on the quiet side with the DDW - that's Digestive Disease Week - taking place. So fortunately with a gap in the schedule facing us, we managed to save some of the biotech free treats from yesterday to whet our appetites. 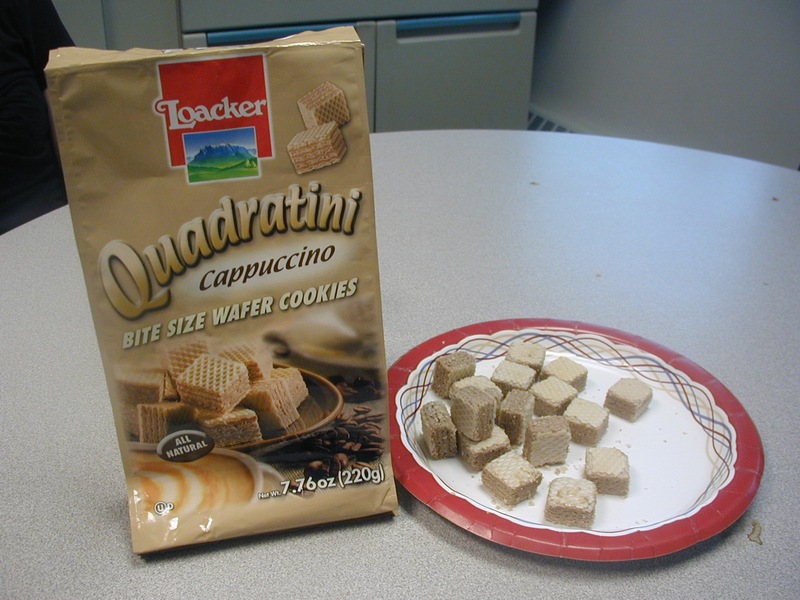 The Quadratini didn't last very long in the absence of anything else and we do like this particular flavor. So what do you do when no one has volunteered for a day's cake time slot? 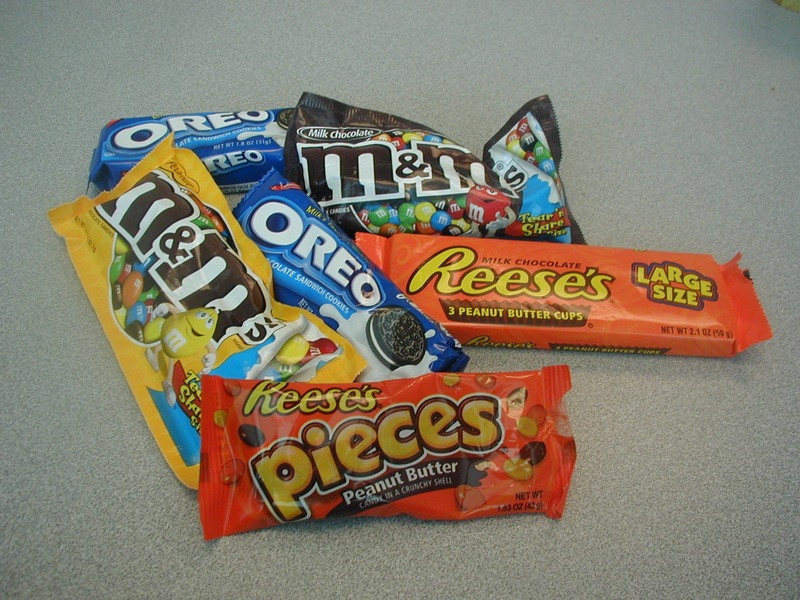 Well previously we were stuck with whatever was available in the on site candy machine. Fortunately the situation has improved with the opening of a store called Gourmet Heaven not too far away. Prior to that downtown Providence was a desolate place to try to find any vittles - though a Starbuck's did open nearing Johnson and Wales. Gourmet Heaven has some great food but more importantly has some great coffee time treats from several countries. We picked five different products from five different countries with many of them classics. 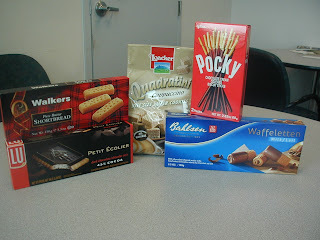 You can rarely go wrong with Bahlsen from Germany and the Waffeletten with milk or dark chocolate are addictive. True also of Scotland's Walker Shortbread. Despite butter being a prime ingredient, we were happy to read that they are not as caloric as one would expected. Le Petit Ecolier cookies from France with the chocolate coating are always worth it and the Japanese treat Pocky tastes great and is fun to eat. Lastly we had some cappuccino Quadrattini from the northern German area of Italy known as Südtirol or Alto Adige. 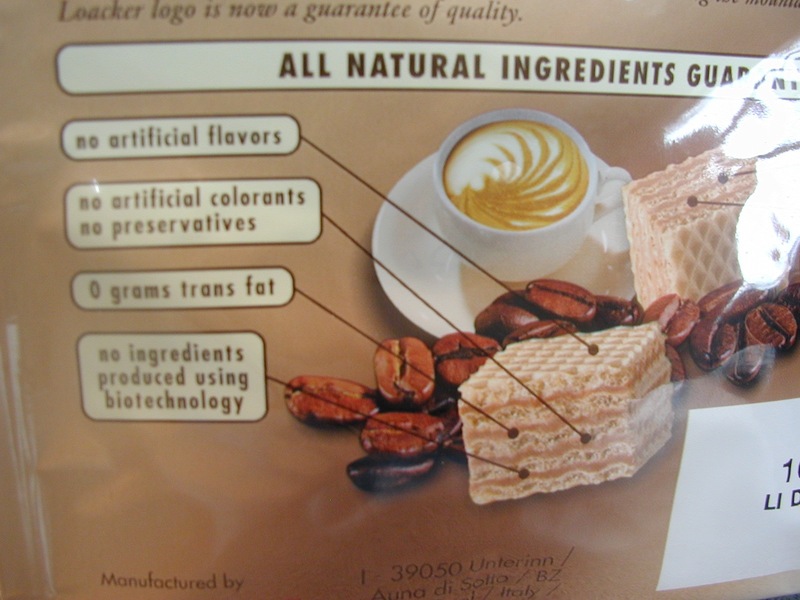 Loacker makes these wafer cookies in many flavors and they are all good. 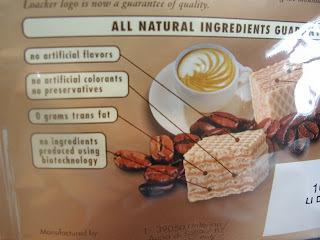 The package also reminds us that they contain "no ingredients produced using biotechnology". We're not sure if that is good or bad or if it should at all matter. We don't take it as a selling point. With many folks at the DDW in New Orleans, conversation focused on various things including how Providence is not prominent enough to attract any terrorist's attention. We also learned from our resident food expert that airport concessions supposedly dole out bad food if they know you are taking it on a plane. They purportedly only give the fresh stuff to customers that are remaining local so that if the food makes a person sick they are no longer near enough to cause any trouble. We can't help but be skeptical about this and if anyone has any experience or proof of this we'd be glad to hear it. From New Orleans and the DDW we learned that the Peeps are still stalking Vicki and they showed up on her hotel pillow in the midst of a thunderstorm. This is getting interesting, folks!